Total Area: 550 sq. 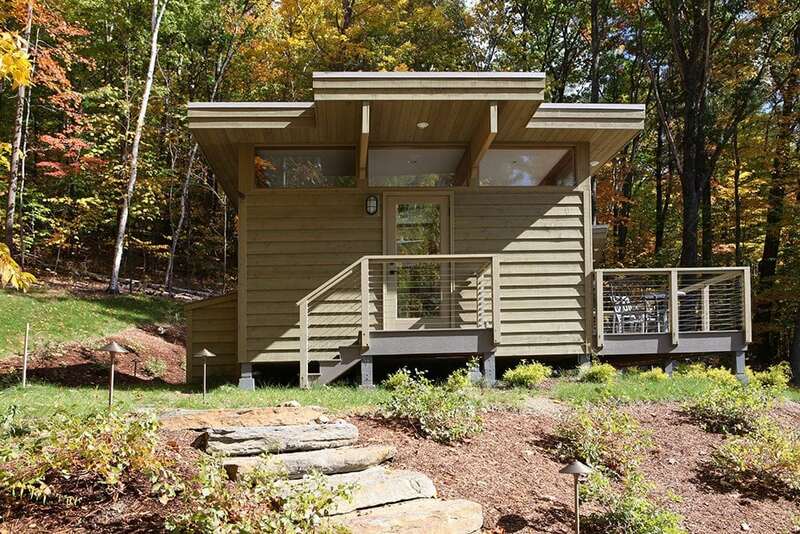 ft.
As cities across the U.S. and Canada ease restrictions on accessory dwelling units, both attached to the main home or detached (ADUs and DADUs), Lindal homeowners increasingly inquire about building backyard cottages or adding ADUs to their home design floor plans. 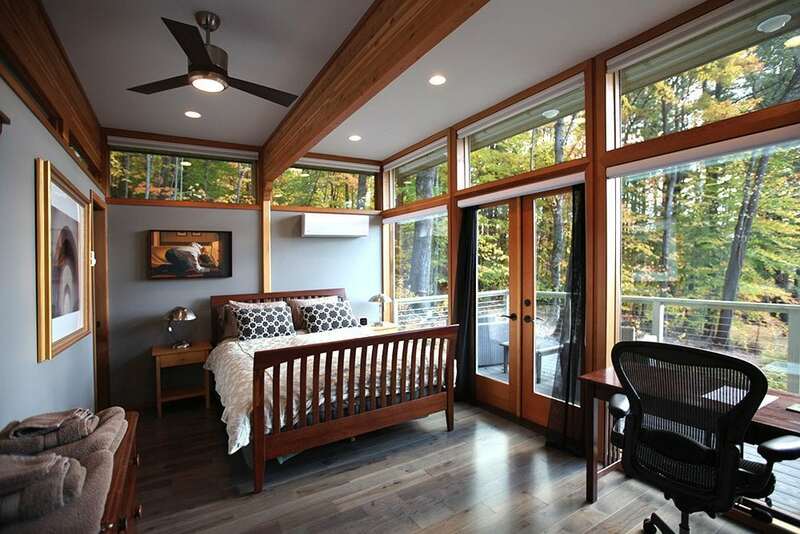 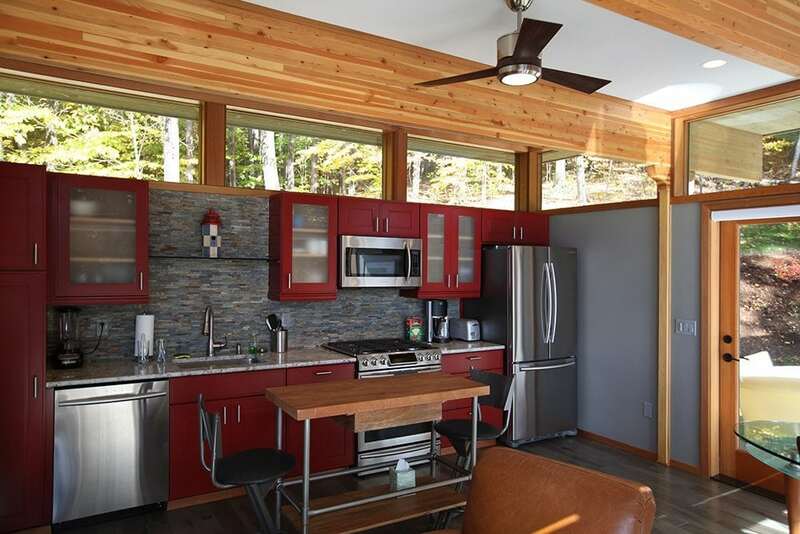 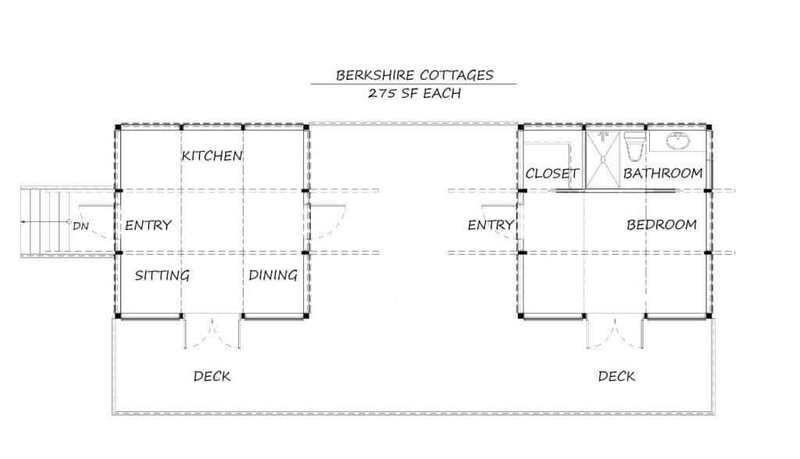 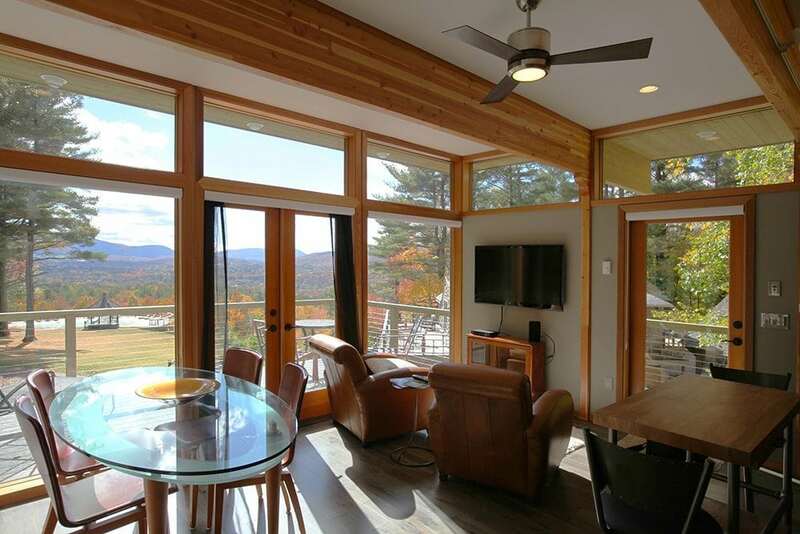 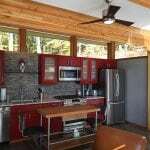 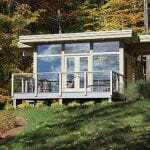 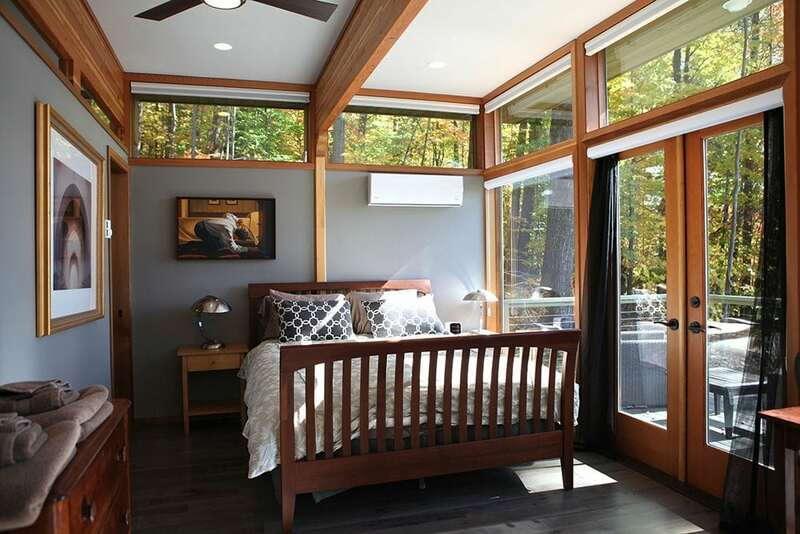 Lindal’s prefab building system is ideally suited to these efficient units, which can start under 500 square feet. 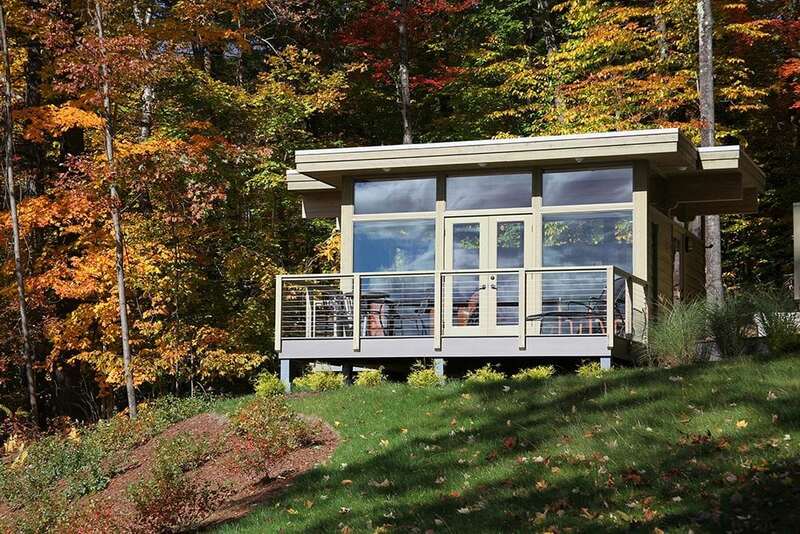 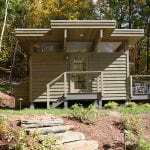 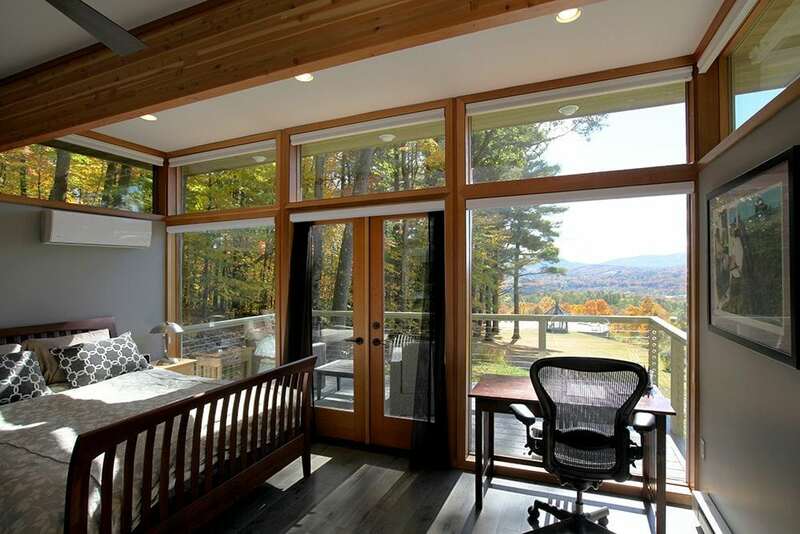 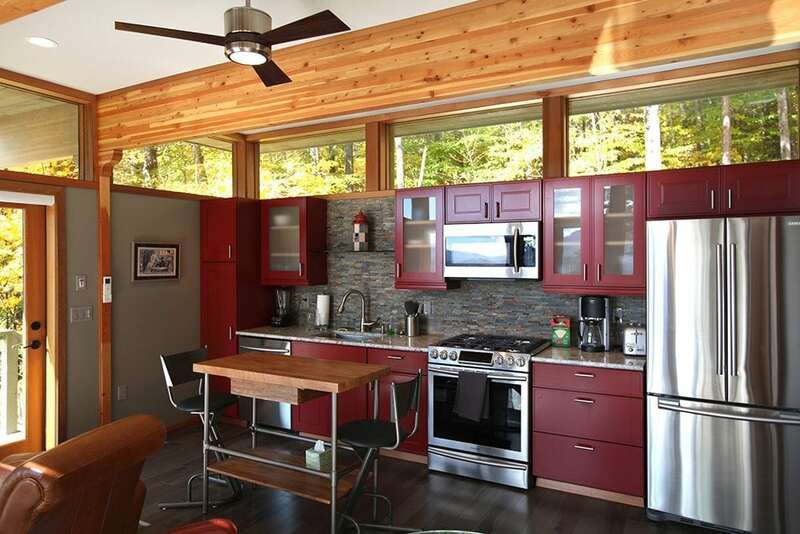 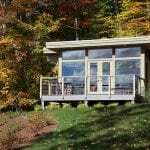 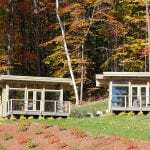 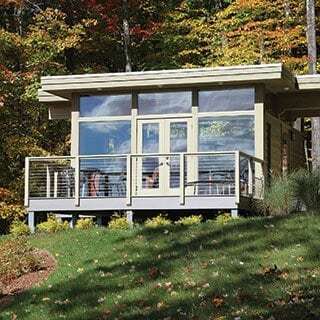 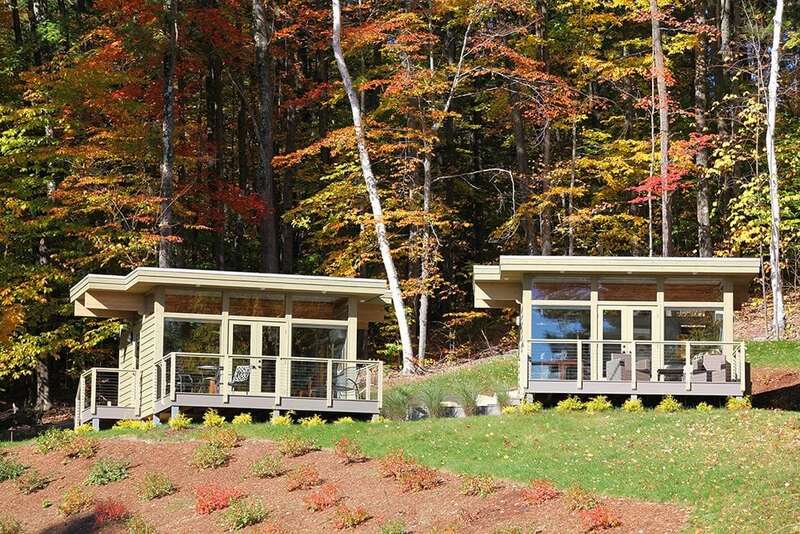 These cute side-by-side studios in Berkshire, Mass., were built as writer’s retreats, but could also serve as guest cabins, small rental units, or living quarters for extended family. 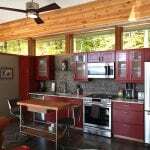 The kitchen and living room are located in one of the studios. 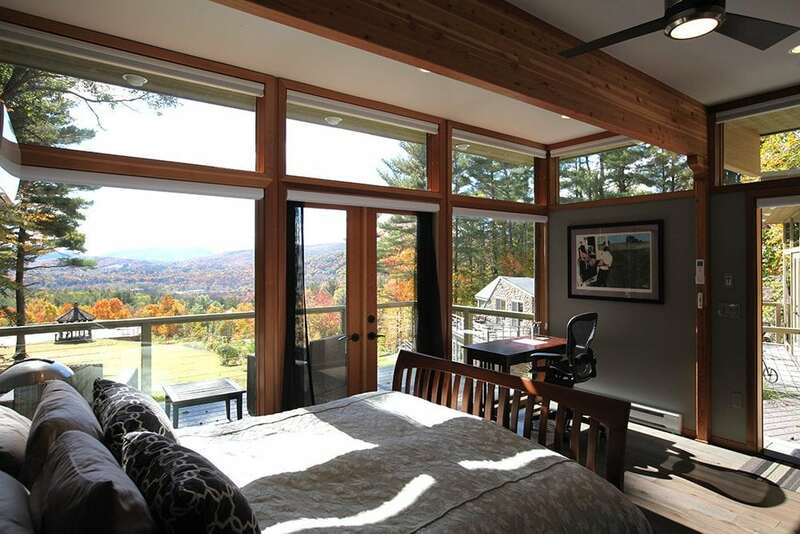 Clerestory windows wrap around the structure, filling it with natural sunlight. 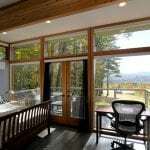 The second studio contains the sleeping quarters and a working area with an expansive view through the large window. 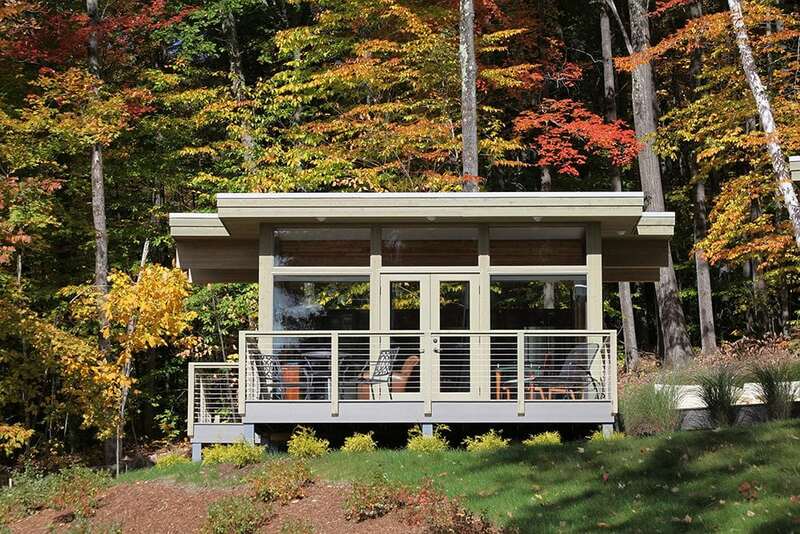 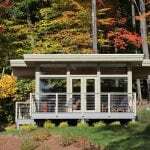 Read about other Lindal ADU and DADU projects.